The legacy of Viktor Frankl was assessed in terms of his prophet voice of hope and his contribution to positive psychology. Viktor Frankl’s (1985) tragic optimism (TO) posits that one can remain optimistic in spite of tragic experiences. Extending Frankl’s construct, Wong’s (2001) existential-humanistic model of TO postulates that the only kind of hope, which can stand the harsh blows of reality, needs to contain five key ingredients: (a) Acceptance of what cannot be changed, (b) Affirmation in the value and meaning of life, (c) Self-transcendence, (d) Faith in God and others, and (e) Courage to face adversity. The rationale and evidence for the model are presented. The chapter also explores supportive evidence and the adaptive consequences of TO, as measured by the Life Attitudes Scale (LAS). One of the findings based on the LAS is that TO contributes to post-traumatic growth. Finally, the presents TO as a prototype of mature positive psychology for the suffering humanity, based on Frankl’s logotherapy and tragic optimism. Viktor Frankl, one of the most influential and enduring writers and psychotherapists of the 20th century, continues to speak to new generations. His voice is prophetic, because it heralds the current positive psychology movement, the resurgence of spirituality, and promises hope to a needy world threatened by global terrorism (Wong, 2001a, b) and the AIDS epidemic (Wong, 2003). However, like prophets in Biblical times, he is often misunderstood or dismissed. For example, within the positive psychology movement, especially among those who research on hope and optimism, Viktor Frankl’s contributions are seldom acknowledged. In this chapter, I want to show how Frankl’s concept of tragic optimism is essential to a full understanding of enduring hope and mature positive psychology. I begin with a brief account of my personal journey in search of optimism, then critique the current scene of positive psychology of optimism in American, and make a case for Frankl’s tragic optimism and meaning-based mature positive psychology. I discovered “hope” almost incidentally while studying frustration reactions and generalized persistence. Through a long series of experiments in the 70s, involving both animals and humans, I discovered that organisms are more likely to persist in the face of repeated failure and less likely to become helpless if they have been inoculated with a mixture of positive and negative experiences, even when such inoculation was administered in a very young age. Most of these studies have been summarized in Wong (1995). The above research program on generalized persistence has inadvertently provided behavioral mechanisms for Seligman’s (1990) learned optimism and Frankl’s basic formula for tragic optimism: to maintain hope in spite of tragic experiences, one must learn the courage and tenacity to strive for a future goal, no matter how bleak. It is from the prior experience of overcoming disappointments and adversities that we learn the importance of embracing the whole of life and believing that something good will happen only if we persist in our efforts. I started research on hope in the early 80s, before optimism research became fashionable, by asking people to list the things they are hopeful, and then asking them to rate each item in terms of confidence (that the hope will be realized), time-frame (to be realized in the near future or the distant future), and agency (to be realized by themselves or by others.) One important finding of this exploratory study is that as people got older and older, more and more hopeful events are shifted to other people or God (Wong & Reker, 1985). This research provides yet another piece of evidence for Frankl’s concept of TO – hope depends not only on our own efforts but also on the gifts and graces from God and others. At that time, I believed that the degree of optimism as measured both by the frequency and confidence ratings was a function of one’s developmental stage, present life circumstances and personality trait. We did a further study, which received very favourable feedback from Scheier, but never submitted it for publication, because of Scheier and Carver’s (1985) seminal publication, which made our paper superfluous. I did not pursue further research on optimism for almost a decade partly because of an explosion of publications on this topic, partly because of my large research projects on successful aging and meaning (Wong, 1989, Wong, 1998, Wong & Watt, 1991). However, these research projects eventually brought me back to my original interest in optimism, because my research findings convinced me that only meaning-based optimism can rise above all the difficulties and challenges of old age. In September, 2001, while I was preparing for my presentation at the Positive Psychology Summit in Washington, the unthinkable happened. From the bright morning sky, terror struck the twin towers of World Trade Center in New York in quick succession, resulting in devastating damages and thousands of causalities. For the first time in history, on September 11, 2001, an act of war was launched against civilians on American soil, and Americans were awakened to a new reality of vulnerability. When I went to Washington on October 6th, 2001 for the Positive Psychology (PP) Summit, less than a month after the fateful Black Tuesday, there was a palpable under-current of unease among the positive psychologists who were gathered there to present their latest findings on positive emotions, positive expectations, and positive virtues. They seemed to be struggling, quietly by themselves or informally in groups of three or four, trying to find a PP answer to the challenge posed by 9/11. One of the widely accepted answers given at the Summit was “realistic courage”. We were reminded by more than one speaker that realistically, the likelihood of another terrorist attack was much less likely than being struck by a car or a thunderbolt; therefore, there was no reason to be fearful and anxious. That answer did not sit very well with me. Why do we need courage when realistically the risk of another terrorist attack is less than being hit by lightening from a blue sky? Doesn’t courage require the presence of a real and present danger? Their construct of “realistic courage” seems timid and shallow when compared with Frankl’s profound insight on taking a defiant, courageous stand against overwhelming odds. My paper was entitled “tragic optimism, realistic pessimism, and mature happiness” (Wong, 2001 a), which was essential an extension of Viktor Frankl’s construct of TO. I thought that Viktor Frankl’s message of hope in the face of tragedies and dangers offers the best answer for the people traumatized by the losses of 9/11 and fearful of the aftermath and the anthrax scare. But the only response I got from my audience was whether I had any hard data to support Frankl’s concept of TO, as if Frankl’s personal testimony and all those who bear witness to their heroic survival of the Holocaust did not count as supporting evidence. It is amazing how one’s obsession for crunching numbers could prevent one from feeling the pains and probing the depth of human experiences. I came away convinced that it would be a disservice to psychology and society, if research psychologists are only interested in dissecting human behavior with the same precision and dispassionate objectivity as a biologist dissecting a frog. On December 16 in the same year, I was able to give a workshop on “Living with terror: Lessons from logotherapy and positive psychology” (Wong, 2001 b) to a more responsive audience at the Spirituality and Healing in Medicine Conference in Boston. After all, Frankl was the first one to emphasize the importance of spirituality in psychotherapy and healing, before it becomes fashionable in recent years. I was able to explain how Frankl’s logotherapy and tragic optimism can help transform traumas and threats into positive forces for meaningful living. Since then, I have done several empirical studies with my students on tragic optimism, which will be summarized later. To provide a contemporary context for my research, I need to first critique the limitations of America’s PP and optimism research before making a case for TO and mature positive psychology. Martin Seligman, as President of APA (1998-1999) proposed that a time of peace and prosperity was an opportune time for psychology to shift its focus from psychopathology to positive experiences. The new positive psychology will be a “science of positive subjective experiences, positive traits, and positive institutions” (Selgiman & Csikszentmihalyi, 2000, p.5). They “believe that the nation – wealthy, at peace, and stable – provides the world with a historical opportunity . . . a science that takes as its primary task the understanding of what makes life worth living” (p. 11). The positive psychology of success and happiness was finally put to test by grim realities and found wanting. The terrorist attack on September 11, 2001 and its aftermath have drastically changed the American psychological landscape. We have entered a new era of vulnerability and fear. The nation continues to be troubled by anxiety over terrorist threats and the seemingly unending war on Iraq, and mental health problems, such as anxiety, depression and post-traumatic stress disorders are on the increase. Recently, Surgeon General Cameron told a meeting of California Psychological Association. “Today, there’s no greater mental health issue than the effects of terrorism and war. Your expertise is paramount to our nation’s health” (The Associated Press, 2003). Americans have begun to develop a tragic sense of life, which is all too familiar to people living in developing countries, where poverty, suffering and untimely deaths are a daily reality. For example, more than 38 million people are victims of famine in Africa. This food shortage is caused by natural disasters, government mismanagement, armed conflicts and economic collapse (http://www.greatergood.com/newsroom/ths/africa-famine1.html 4/6/03). The problem of poverty and famine in Africa is further compounded by the highest rates of HIV/AIDS infection in the world. According to the AIDS epidemic update (UNAID, 2002), in sub-Saharan Africa, there were 29.4 million cases of adults and child living with HIV/AIDS. By the end of 2002, there were 3.5 millions cases of newly infected with HIV. The % of increase of HIV-positive women adults is a staggering 58%. In 2003 the AIDS epidemic claimed an estimated 3 millions lives with 5 million new cases diagnosed (UNAID, 2004). The global total is the highest since the beginning of the epidemic despite continued progress in medical research and new antiretroviral therapies. HIV is increasing in women, with women now comprising about half of all HIV positive individuals. HIV/AIDS is also spreading rapidly in Russia, China and India. What is positive psychology’s response to such enormous human tragedy? What do we say to those whose lives have been devastated by war, terrorism, poverty and AIDS? The gospel of expecting good outcomes and the mantra that we all can achieve our dreams with out own efforts sound hollow to those who can neither understand nor control the negative forces that are destroying their lives. Given that suffering is such a major, inevitable dimension of human existence, positive psychologists would be guilty of “ostrichism” by only whistling happy tunes and ignoring the suffering masses. Millions upon millions of the oppressed or traumatized are desperately crying out for help: “How can I find hope and happiness? How can my life be worth living, when suffering is my daily bread?” Positive psychology would be guilty of elitism, if it only relevant to those who are privileged to live a life of peace and prosperity. Psychology that exclusively focuses on positive experiences of happy people would be just as irresponsible as medicine that only focuses only on the healthy. The above predicament of PP stems from the Hellenic linear thinking and Cartisan dualism, which have dominated American academic psychology. Witness the controversies in psychology, such as nature vs. nurture, response vs. place learning, reinforcement vs. contiguity, and the current positive vs. negative psychology debate. All these controversies all based on linear, dichotomous thinking. The distinction between negative and positive psychology is in fact a false dichotomy. It is more semantic than substantial, more artificial and natural, because there is no positive psychology of courage without the negative psychology of fear and frustration. Similarly, resilience does not exist apart from the context of adversity. Is the study of frustration and fear a case of negative psychology? Not at all, because in studying how animals and people persist in the face of frustration and fear, Wong (1995) discover how they learn perseverance and courage. Is the study of learned helplessness a case of negative psychology? Not really, because through research on reformulated learned helplessness, Seligman (1991) discovered the optimistic explanatory style and learned optimism. In fact, most of the human strengths and virtues are meaningful only in the context of negative experiences. The above limitations clearly highlight the need to integrate both negative and positive experiences into a mature positive psychology of saying “yes” to life in spite of all the negative and dark aspects of human existence. Such a paradoxical/dialectic positive psychology can be modeled after Frankl’s (1985) concept of the defiant human spirit and tragic optimism, which can transform the worst negative experiences into human achievements. Optimism research has been one of the major areas in PP. Therefore, a close examination of optimism research may point to the direction of a dialectic mature PP, which is predicated on the transformation that comes from a synthesis of both negative and positive psychology. Peterson (2000) provided a very insightful review of the literature on optimism research. Basically, there have been four strands of thoughts on optimism. The first strand primarily came from Freud (1928) who viewed unrealistic positive thinking as a defense mechanism against harsh reality or an illusionary religious belief, which only served to prolong human misery. Cramer (1991) pointed out that defense mechanisms, such as denial and fantasies and served as a protective mechanism, when people felt threatened and powerless, but unrealistic optimism might prove to be problematic in the long run. Research on stress and coping continues to recognize denial, wishful thinking, and praying as part of emotion-focused coping, when the problem is perceived as beyond one’s control (Lazarus & Folkman, 1984). According to this trend of thoughts, the hallmark of mental health is being rooted in reality. Unrealistic optimism may temporarily serve a protective function, when the threat is terrifying or unsolvable, but such defense mechanism becomes problematic when it prevents one from one from facing the reality and making the necessary adjustments. The second strand of thought began in the 1980's which focuses on the optimistic bias – people’s tendency to over-estimate positive events and under-estimate negative events that may come their way. Weinstein’s (1980) study of college students found that they believed they had a greater than average chance of good things coming their way and a lower than average chance of bad things happening to them. Weinstein (1987) later demonstrated the same bias in a large representative community sample. This kind of systematic cognitive error represents unrealistic, delusional optimism, which may make people feel invulnerable and prevent them from taking the necessary precautions. Weinstein attributes this “unrealistic optimism” in part to an individual’s tendency to be egocentric. Improving on the concept of optimistic bias, which may involve a set of unhealthy cognitive distortions, Taylor (1989) defined positive illusion as seeing oneself in the best possible light -- a strategy for psychological health. Later, Taylor and Armor (1996) defined positive illusion as a set of mentally healthy responses to trying situations. They differentiate optimism as an illusion (responsive to reality) from optimism as a delusion, which suggests a degree of unreality, indicative of an inability to cope with reality. Delusional optimism is optimistic bias at its strongest and worst. Maintaining a slightly illusory sense of optimism tends to be motivating and self-rewarding, because it lowers anxiety and contributes to an individual’s sense of mastery and control. Taylor acknowledges that positive illusion is shaped by culture. For example, the American ideals of being strong, free and competent may imbue Americans with the “can-do” attitude. Positive illusion is further reinforced by the pragmatic utility of health benefits and further success. The third strand of thought also began in the 1980’s, which emphasized optimism as a personality trait. Scheier and Carver (1985) defined dispositional optimism as the global expectation of positive outcomes and proposed that optimistic people generally “believe that good rather than bad things will happen” (p.219). They developed the Life Orientation Test (LOT), a brief self-report questionnaire to measure dispositional optimism. According to their self-regulatory model of optimism (Scheier & Carver, 1992), when people encounter an obstacle in their pursuit of a valued goal, they temporarily disengage from the valued goal and conduct an assessment. If they feel confident in their own ability to attain the goal, then more effort will be expended. However, if the obstacle is insurmountable, then the person will disengage from that goal and substitute a more realistic goal, so as to not remain immobilized. Optimists are less likely to give up their valued goal. However, when problem-focused coping is not longer appropriate, they would switch temporarily to the emotion-focussed coping, such as acceptance (Scheier, Weintraub, & Carver, 1986). Generally, research has suggested that dispositional optimists tend to cope better, not only because they are more goal-oriented, but also because they are more flexible and constructive in their thinking. Related to goal-oriented dispositional optimism is Snyder’s (2000) agency-based hope theory. Hope was defined as “a cognitive set that is composed of a reciprocally derived sense of successful (a) agency (goal-directed determination) and (b) pathways (planning of ways to meet goals)” (Snyder et al., 1991p. 571). Same as Scheier and Carver, Synder conceptualized hope as a personality trait; however, in addition to the component of agency in goal-attainment, Synder also included resourcefulness in planning different pathways to achieve success as another essential component of hope. Later, Synder also defined hope as a temporal state that varied daily according to the circumstances in people’s lives (Snyder et al., 1996). Individuals with high hope are also more likely to have a healthy lifestyle, avoid life crises, and possess better coping strategies as compared to those with less hope (Snyder et al., 1991; Snyder, 1994, 2000). The fourth strand of thought is primarily based on Martin Seligman’s. His theory of learned optimism (1991) is based on the attributional reformulated helplessness theory (Abramson, Seligman, and Teasdale, 1978). An internal explanation (taking responsibility for negative events) is associated with a loss of self-esteem. A stable explanation (assuming that the cause is long lasting or consistent over time) is associated with a lasting sense of helplessness, whereas a global rather than specific explanation is associated with pervasive deficits (helplessness in all areas of life). The optimists, on the other hand, have formed the cognitive habit of attributing bad events to external, unstable, and specific causes, thus, protecting their self-concept and energizing them to pursue future success. Cognitive habits are learned and therefore can be relearned. In a later book, Seligman (1995) recognized the tension between learned optimism and reality and advocates realistic optimism. He pointed out that “optimism that is not accurate is empty and falls apart. Life defeats it. Disputing and decatastrophizing work only when they can be checked against reality” (p. 298). Selgiman’s main contribution to optimism is his emphasis on the importance of learning, and the role of explanatory styles. Realism is important. Unrealistic optimism may serves as a temporary protective function but in the long run become problematic, because delusional positive thinking is counterproductive and even harmful. A certain amount of positive illusion is helpful, as long as it is within the realm of realism and coupled with a sense of personal efficacy. A positive bias in expectation and confidence may provide the competitive edge by motivating individuals to risk more challenging projects and to persist longer trying times. Some people are dispositionally optimistic or pessimistic, but all can learn to be more optimistic through overcoming obstacles. An optimistic habit of explaining failure and pursuing valued goals will increase the likelihood of success. To link expectations of positive outcomes entirely to one’s own efficacy considerably restricts the wide range of sources of hope available, such as family, friends, God and good luck (Wong & Reker, 1985). Lazarus (1999) has pointed out that Snyder’s marriage of hope to self-efficacy (Bandura, 1997) dilutes the strength of true hope. Another limitation of existing models is that they treat optimism and pessimism as opposite poles of the same continuum, rather than two related but independent dimensions. Lazarus (1999) argued that hope always incorporates some element of doubt and that the two constructs can co-exist in healthy individuals. Peterson (2000) also contended that “optimism is not simply the absence of pessimism, and well-being is not simply the absence of helplessness” (p. 49). These comments are consistent with Frankl’s construct of tragic optimism, which is predicated on the co-existence of pessimism and optimism. Finally, the most serious limitation is that none of the existing models can be applied to extreme situations in which individuals can only expect bad events and have little or no control over the terrifying situation. For example, ethnic cleansing continues in Sudan, with hundreds of thousands of refugees living in hunger and fear of being murdered. In such situations, it is only human to feel helplessness, hopeless and terrified, because the adversity they experience and the terror they face tends to be pervasive, chronic, and beyond their control. Does it give them any hope by telling them that happiness can trump suffering? Does it bring them any consolation by trying to convince them: “Don’t worry, be happy?” They don’t need empty words based on research findings with subjects who have never experienced hunger; they desperately need food and medicine and real “hope in hell” (Bortolotti, 2004). Even in North America, there are individuals in extreme boundary situations, where the normal problem-focused coping becomes irrelevant. Just visit any hospice, palliative care unity, or extended care institution for the frail elder. When getting through each day is a major achievement, there is little room for confidence in one’s own self-efficacy and expectation of positive outcomes. When everything has been stripped away from them, and they are enveloped in the shadow of death, what they need is the same kind of optimism that sustained Frankl in the concentration camps. Thus, the missing piece in the optimism literature is a model of optimism for the helpless and hopeless. Such a model would not be based on self-confidence and positive expectations, but on existential and spiritual principles (Frankl, 1985; Wong, 2001a, b). It took the horror of Nazi death camps for Viktor Frankl (1985) to discover and the power of tragic optimism. He defined TO as “an optimism in the face of tragedy” (p.162). His chapter on A case for tragic optimism “addresses present day concerns and how it is possible to ‘say yes to life’ in spite of all the tragic aspects of human existence. To hark back to its title, it is hoped that an ‘optimism’ for our future may flow from the lesson learned from our ‘tragic’ past” (p.17). He demonstrated this overlooked but important dimension of hope in Nazi concentration camps: All the horrors of atrocities, all the dehumanizing deprivation and degradation, and all the pains inflicted on him by his tormentors could not strip him of his human dignity and his abiding hope in the meaning and value of life. His own defiant spirit and courage in the most hopeless, helpless situation bears witness to the power of TO. “Man can preserve a vestige of spiritual freedom, of independence of mind, even in such terrible conditions of psychic and physical stress. We who lived in concentration camps can remember the men who walked through the huts comforting others, giving away their last price of bread. They may have been few in number, but they offer sufficient proof that everything can be taken from a man but one thing: the last of the human freedoms - to choose one’s attitude in any given set of circumstances, to choose one’s own way” (Frankl, 1985, p. 86). “He may retain his human dignity even in a concentration camp. Dostoevsky said once ‘There is one thing that I dread: not to be worthy of my sufferings.’ These words frequently came to my mind after I became acquainted with those martyrs whose behavior in camp, whose suffering and death, bore witness to the fact that the last inner freedom cannot be lost. It can be said that they were worthy of their sufferings; the way they bore their suffering was a genuine inner achievement. It is this spiritual freedom – which can not be taken away – that makes life meaningful and purposeful” (Frankl, 1985, p.87). To realize that one is trapped in an underground mine or looked up in a torture chamber naturally makes one feel pessimistic and depressed. But enter tragic optimism, and the equation changes: there is always hope in hopeless situations. People can be both realistic pessimistic and idealistically optimistic at the same time (Wong, 2001a). They can feel the pain and experience the terror, but at the same time the can still celebrate the fact of being alive and cling to the belief that as long as there is life, there is hope. Unlike other kinds of hopes, TO cannot be crushed by adversities or catastrophes, because like true gold, it is purified in the crucible of suffering and rooted in an abiding inner value. Frankl (1985) aptly added: “The consciousness of one’s inner value is anchored in higher, more spiritual things, and cannot be shaken by camp life” (p.83). TO can even be extended to one’s worldview of society and the human condition. For example, in an interview with Cromartie’s (1998) about race in American, Stanley Crouch, a brilliant black writer, claimed “I am much more optimistic than a lot of other people, but my optimism is what I always refer to as ‘tragic optimism.’ It’s an optimism that accepts the horror of life, the horror of the past, the horror of the present.” Fully aware of the history of oppression and the current struggles of black people in American, Crouch has chosen to take the stance of tragic optimism. Based on Frankl’s writings, I have identified five essential components that comprise TO: (a) Affirmation of the meaning and value of life, regardless of circumstances, (b) Acceptance of what cannot be changed, (c) Self-transcendence in serving a higher purpose, (d) Faith or trust in God and others, (e) Courage to face adversity. These components can also be found in the clinical literature on trauma as well as the larger literature of humanities. After 9/11, the same five components were also evident in so many speeches, prayers, interviews, testimonies, and more importantly in the actions of the rescue workers, survivors and fellow citizens. What sustained the New Yorkers and all Americans in their darkest hours is their affirmation of the inherent value of liberty, justice, and the meaning of life. In spite of acceptance of the grim reality and the devastating losses, so many still maintain faith – faith in the miracles that their loved one may still be alive, faith in reunion in heaven, faith the eventual triumphant of justice and goodness over evil, faith in the American ideals, and faith in God. Thousands gave themselves sacrificially, and many had literally given their own lives, in their effort to rescue others. No word has been summoned more often than “courage” – “courage to combat pain”, “from the depth of tragedy to the height of courage,” and the “courage and resolve to persevere”. Together, these sentiments weave a glorious tapestry of the meaning of tragic optimism. Acceptance of reality is the defining characteristic of TO. By definition, TO depends on confronting and accepting reality as experienced, no matter how painful and gloomy. Acceptance also encompasses one’s past traumas and possible future tragic events. Tragic optimism differentiates itself from other models of optimism by incorporating acceptance as an essential component of hope. Unless and until one fully accepts the dark sides of life and a pessimistic assessment of grim reality, without delusional or defensive attribution, one cannot discover TO. All other components of TO become possible because of acceptance. It is one of the most widely accepted the assumption that a sense of reality is the hallmark of mental health. “Acceptance has deep roots in the history of psychology and psychotherapy. Psychoanalysis, existential psychotherapy, cognitive-behavioural therapy (BT), and humanistic treatment all require the client to confront, approach, or endure the pain that is part of life,” (Sanderson & Linehan, 1999). Recent research findings also show that acceptance of reality is a major dimensions of well-being and happiness (Ryff & Keys, 1995; Wong, 1998). The present model of TO simply states that enduring hope must be based on a realistic assessment of reality, no matter how pessimistic the prospect. However, the benefits of acceptance are dependent on the concomitant presence of positive beliefs and attitudes, such as Affirmation. In Mok’s study, it was also found that acceptance of illness was tied into the traditional Chinese cultural beliefs of harmony with the universe and Taoist teaching of 'wu wei' (which literally means do-nothing). By looking at some aspects of Chinese culture, one can see that Harmony with heaven, or surrender to the way of Nature, allows Chinese people to cope with many uncontrollable troubles, without sinking into despair (Chen, 2005). It needs to be pointed out that acceptance means to honestly confront the seriousness our situation. It is not mean giving up one’s hope, but it does mean that one will not futilely bang one’s head against the wall. Acceptance is simply an acknowledgement of our predicament and hopeless state, but at the same time, making the heroic choice to live and endure with dignity and optimism. The Serenity Prayer, which has been credited to the late American theologian Reinfold Niebuhr, says it well: “God, grant me the serenity to accept the things I cannot change.” Frankl has shown that accepting the harsh reality of life and facing the world in all its evils is the pathway to achieving serenity and rebuilding a shattered life. “Once the meaning of suffering had been revealed to us, we refused to minimize or alleviate the camp’s tortures by ignoring them or harboring false illusions and entertaining artificial optimism. Suffering had become a task on which we did not want to turn our backs. We had realized its hidden opportunities for achievement” (Frankl, 1985, p.99). When false hope eventually gives way to realistic pessimism, one is faced with two choices: One either fades away in depression, or embraces tragic optimism. Acceptance involves a double-affirmative: Saying Yes to suffering and death, and saying Yes to meaning and life. Suffering intensifies hope, when there is acceptance is coupled with affirmation. “The vastly disproportionate focus of the existing literature on negative aspects of HIV, with only a few more recent studies on coping, is unjustified. By failing to recognize the growth some women with HIV have created in themselves, social work professionals can inadvertently minimize the personal strengths and power of their clients” (Dunbar, et al., 1998, p.146). “Many women who spoke of reckoning with death described a subsequent discovery of the will to live. Affirming life in the face of a fatal illness is profound, for in the face of death, life takes on a different meaning. Ironically, it was the participants who decided to live consciously and fully who seemed to experience the greatest grief. One participant described a period of depression in which she tried to numb herself with excessive substance use. She came out of her depression slowly as a result of affirming her will to live” (Dunbar et al., 1998, p. 152). The affirmation of life is the cornerstone of tragic optimism. Without firmly believing in the possibility of meaning in all aspects of human existence, without believing in the intrinsic value and dignity of human life, it would be difficult to experience optimism in the face of tragedy. The following quote is a shining example of such affirmation. Tragic optimism is meaning-oriented and value-based. Thus, TO is predicated on affirming a deeply cherished set of core values, which serve as sources of meaning; these may include achievement, intimacy, self-transcendence, self-acceptance, and religion/spirituality (Wong, 1998). Tragic optimism is unshakable to the extent that these inner values and meanings are deep and secure. For example, Frankl’s love for his wife and his intimate, internal dialogues with her endowed his existence with meaning and hope. He concluded: “Love goes very far beyond the physical person of the beloved. It finds its deepest meaning in his spiritual being, his inner self” (Frankl, 1985, p.58). Achievement, or the dream of future achievement, is another major source of meaning for Frankl in the death camp. He valued the unfinished manuscript on logotherapy. The thought of giving a public lecture on logotherapy enabled him to transcend the hopelessly oppressive death camp. For Frankl, “meaning in life enables us to make sense of our existence despite guilt, suffering, injustice and the inevitability of life” (Gould, 1993). Therefore, we need to discover something that is worth living and worth dying for, if we are to survive the tragedies of life. We know how to endure and survive, once we know why we exist. “As we said before, any attempt to restore a man’s inner strength in the camp had first to succeed in showing him some future goal. Nietzsche’s words, ‘He who has a why to live for can bear with almost any how,’ could be the guiding motto for all psychotherapeutic and psychohygienic efforts regarding prisoners” (Frankl, 1985, p.97). It represents an active expression of affirmation and involves the action dimension of TO, because an attitude of self-transcendence invariably manifests itself in rising about self-interest and difficult circumstances in serving others. It can be directed upward in terms of serving God and doing his will; and it can also flow horizontally in terms of serving our fellow human beings. The essence of self-transcendence is self-detachment and involvement in loving God and loving our neighbours. Self-Transcendence is demonstrated, whenever we embrace suffering for the benefit of others (Frankl, 1985). Most religions espouse spiritual growth through transcending self-interests and serving a higher purpose (Richards & Bergin; 1997, 2000). Seligman (1991) also posits that people will gain meaning for themselves if they actively serve others. Peterson (2000) proposed that researchers need to find out how optimism be channeled from self-interest to concerns for others. Transpersonal psychologists conceptualize self-transcendence as the act of identifying less with the restrictions of one’s own ego personality in order to identify more with the ‘total self’, in order to express one’s existential nature in a congruent manner (Strohl, 1998). One’s personality is only an outer expression of one’s true ‘total self’. According to Vaughan (1980), when one lets go of one’s ego-centered perspective, an expanded sense of identity, including a deeper sense of wholeness, relatedness, and connectedness is realized. On a more practical level, stepping outside oneself to help others has been demonstrated to have an ameliorative effect. In the psychiatric rehabilitation field, for instance, it has become quite common for mental health consumers to become service providers. A recent qualitative study was conducted to examine the benefits of being a consumer-provider. In a thematic analysis of interviews with 14 such ‘peer providers’, it was found that the peer providers benefited substantially from their work (Salzer & Shear, 2002). Self-transcendence is related to Adler’s (1964) concept of social interest. Serve others has the effect of liberating the individual from a miserable existence. For example, Frankl found it very rewarding to encourage his fellow prisoners to find meaning and hope in the midst of their suffering. His ministry to the prisoner both stems from and reinforces his deeply held belief that meaning can be found in any situation. By attempting to restore the inner strength of others, he was strengthened. By imparting meaning to others, he found his own life enriched. All existential psychologists have come to the conclusion that transcending self-interests is one of the pathways to meaning and fulfillment (Wong, 1998). Similarly, almost all faith traditions believe that through transcending hedonistic and selfish interest, humans grow spiritually (Richards & Begins,1997). In self-transcendence, we lose ourselves in a higher service, and we find meaning by giving of ourselves to the world. Self-transcendence may be conceptualized as the manifestation of tragic optimism in purposeful and goal-oriented activities. Self-transcendence represents tragic optimism in action – it is the inevitable consequence of affirmation and acceptance. If meaning is possible in the worst possible circumstances, such as Nazi’s death camps, then we must act accordingly and demonstrate that there is indeed a higher purpose in our existence (Frankl, 1985). There are numerous studies designed to measure whether certain aspects of faith have an ameliorative effect on health and well-being (Klaassen, McDonald, & James, 2005). The effect of faith and prayer on health, including seemingly deadly diseases such as cancer has been well documented (Benson & Stark, 1996; Dossey, 1993; Matthews & Clark, 1998). Only recently, however, have researchers conducted randomized and controlled studies. Harris and his colleagues (1999) conducted such a study in order to measure the effects of intercessory prayer on outcomes of patients admitted to a coronary care unit. In this study, 990 patients were randomly divided into two groups. One group had no one assigned to pray for them. In the other group, community volunteers offered four weeks of daily prayers for an uncomplicated, speedy recovery. The patients had no knowledge of the experiment, but all had previously indicated their belief in God and God's responsiveness to prayers for healing. Results indicated that while length of stay on the unit and certain specific complications were no different between groups, the level of complications overall were 10 per cent less (statistically significant) in the prayed-for group (Harris et al., 1999). Faith in God and prayer has been a source of strength and optimism to countless individuals in practically hopeless situations. It has often been said that man’s adversity is God’s opportunity. Faith represents a flickering light at the end of the tunnel. Often, it is the only positive expectation in an otherwise dark and hopeless world. Frankl (1986) declared: “It is self-evident that belief in a super-meaning – whether as a metaphysical concept or in the religious sense of Providence – is of the foremost psychotherapeutic and psychohygienic importance. As a genuine faith springing from inner strength, such a belief adds immeasurably to human vitality” (p.33). Schieier and Carver (1985) recognized that for most people their optimism is derived from their history of success, and confidence in their own mastery, but they also recognized a substantial minority of people may derive their optimism from external sources. However, I would propose that most people in extreme situations beyond their control would resort to tragic optimism based on faith in God. The linkage between religion and optimism has also been pointed out by Peterson (2000), and it deserves more research attention. In one of earliest studies of optimism, Wong and Reker (1985) asked subjects ranging from 18 to 75 years of age to list their positive expectations – the positive events they were looking forward to. We found that for the older group (60+), their optimism was a lot more externally oriented than the young people – they looked forward to the birth of their grandchildren, the visit from relatives, answered prayers, healing from God and going to Heaven after death. Yahne and Miller (1999) referred to faith-based hope as “the net that catches one when all else fails. Such hope is that vested not in oneself but in a higher power, in something more ultimate (Tillich, 1958). One example is the international 12-step tradition of Alcoholics Anonymous (1976), which emphasizes “a power outside of and greater than oneself, that is, a transcendent and in this sense spiritual power” (p.220). Courage encompasses the capacity to face adversity, to be true to one’s convictions in spite of threats, to stand one’s ground in spite of peer pressure or external force, and to survive in spite of the pain and brutality and hopelessness of the situation. Courage may be considered the “master gland”, because without it other glands will not function well. It is the pivotal point of TO -- all other components hinge on courage -- the heroic, defiant human spirit. Acceptance requires courage. So does affirmation. Stepping out our comfort zone to help others or to serve God also require the courage to be vulnerable. We need courage to face tomorrow, courage to grow old, courage to face sickness and death. We need courage to attempt anything, because there is always the risk of failure and oppositions. One cannot be optimistic without the courage to face an unknown and uncertain future. One cannot be optimistic about one’s own competency, without the courage to take on a challenging task and risk failure. “the combined hardy attitudes of commitment, control, and challenge constitute the best available operationalization of existential courage. The hardy attitudes structure how you think about your interaction with the world around you and provide motivation to do difficult things. When they occur together, the 3 C’s of hardy attitudes facilitate awareness that you formulate life's meaning for yourself by the decisions you make and that choosing the future regularly, despite the anxiety of uncertainty, leads to the most vibrant life” (Maddi, 2004). But both definitions incorporate the courage of committing one’s time and energy towards an uncertain and even threatening future. The hardy attitudes of commitment, control and challenge are manifested in behavioral persistence and resourcefulness in goal-striving. In sum, acceptance, affirmation, self-transcendence and courage are the five strands that make up the toughest rope that can endure almost any kind of stress test. When illusions, positive expectations and self-efficacy – the bases for the kind of hopes we normally enjoy – are crushed by harsh reality, TO kicks in. It is a different kind of hope. It is reality-based, solid as a rock and it works best when one has hit rock bottom. It is spirit-oriented, like the wind and the water flowing from a higher source, always reaching out and gaining strength as it goes. It is meaning-centered and connected with the center of one’s truest being – a set of core values and meanings that define one’s identity. Finally, it is fearless and invincible, because it has overcome and transformed death. Frankl (1985) stated his own life in the death camps “serves as the existential validation of my theories” (p.16). He also pointed out that survivors of the Holocaust provide further evidence – prisoners who were most likely to survive were those who had a future-meaning to fulfill, and thus had a reason and purpose for living in spite of the unbearable sufferings. But still our quantitatively oriented psychologists demand operational definitions and scientific studies to support the validity of the TO. The next section provides a brief summary of my efforts to qualify and validate my five-component model of TO. In the last three years, a few graduate students and I undertook the development and validation of a tragic optimism scale (Leung, Steinfort, Vroon, & Wong, 2003). Called the Life Attitudes Scale (LAS), it consists of a 36-item self-report questionnaire. It measures a person’s tragic optimism on the basis of the five sub-scales -- the five components of TO. Factorial analyses in three studies support the theoretical model postulating a five-factor solution: Acceptance, Affirmation, Courage, Faith, and Self-Transcendence. The inter-correlations between the subscales range from weak to moderate, indicating that the factors are relatively independent of each other. Also consistent with my (2001) TO model, the Acceptance subscale, which reflects realistic pessimism, is negatively correlated with other subscales, which emphasize a positive attitudes towards life in spite of a pessimistic assessment. Three separate replications of higher-order factor analyses of the means sub-scales further confirm the duality of the tragic optimism construct: the coexistence of heroic optimism and realistic pessimism. Therefore, the overall results on the factorial validity and factorial invariance of the LAS are satisfactory. The concurrent validity studies between TO and two other optimism measures: Scheier and Carver’s (1992) LOT-R, Snyder et al’s (1996) Adult State Hope Scale, and Wong’s (1998) Personal Meaning Profile (PMP) reveal positive correlations with the exception of the Acceptance subscale, which either correlates negatively or uncorrelated with other scales. The outcomes of these studies support the dichotic construct of TO and demonstrate the convergent and discriminant validity of the LAS. The predictive validity of the LAS was demonstrated in another study shows that, consistent with our prediction, LAS is a significant predictor of post-traumatic growth. This finding suggests that acceptance coupled with a meaning-and-faith based optimism may be of the underlying process of posttraumatic growth. Gabriel Marcel: “The only genuine hope is hope in what does not depend on ourselves, hope springing from humility and not from pride.” Frankl has personally demonstrated that we can restore hope in hopeless situations through surrendering to the calling of meaning. I have defined and refined the components of TO and demonstrated empirically the dialectic/paradoxical nature of TO: In our state of despair and helplessness, we discover the power of meaning and faith; in our brokenness, we hear the calling to bring healing to others; in our suffering, we encounter joy and serenity; and in our fears and vulnerability, we discover the defiant, heroic courage. The theory and research on tragic optimism answer many of the issues raised by Peterson (2000) and suggest a new direction for optimism research as well as for positive psychology. TO is in the vanguard of developing a mature positive psychology for all humanity, including the millions who are suffering and dying each day. Future directions in TO research should include implementing TO in developing countries (Wong, 2003), studying the defiant human spirit and courage (Wong, 1995), and applying TO in working with trauma victims and dying patients. Since TO serves as a prototype of mature positive psychology for the suffering masses, it warrants a closer look at the contribution of tragic optimism to mature happiness and personal growth in the midst of adversities and traumas. Inner happiness is called mature, not only because it requires certain levels of maturity in cognitive-emotional-and spiritual development, but also because it is relatively independent of circumstances and is capable of serenity in the midst of a storm. Bailey (1990) defined serenity as “feelings of tranquility, gratitude, contentment, affection for others and a deep inner peace” (p.1). According to Roberts and Cunningham (1990), serenity was as an inner peace in the face of difficult circumstances; it has the following defining characteristics: trust in the wisdom of the universe, acceptance of what cannot be changed., and the ability to be in touch with one’s inner sanctuary of peace and security”. These descriptions sound similar to the components of TO. Cleary and Shapiro (1995) observed: “Maslow emphasized the need to bring calmness into one’s psychological state – that we need the serene as well as the poignantly emotional, and he called attention to the plateau experience as an example of serenity” (pp.10-11). However, Maslow (1970) also emphasized that personal growth needs peak experiences, characterized by the “poignantly emotional”. Thus, mature happiness actually stretches the subjective experiences in two directions. On the one hand, it is characterized by a sense of serenity, quite contentment, and almost the total absence of strong feelings. On the other hand, it is characterized by a sense of awe, ecstasy, and unspeakable joy (Maslow, 1970; Schneider, 2004). For example, Frankl (1985) was overwhelmed by a sense of awe and joy when he caught a glimpse of the beauty of sunset against the bleak background of death camps. According to Frankl (1985), future meaning to fulfill was essential to survival and resilience: “The prisoner who had lost faith in the future – his future – was doomed. With his loss of belief in the future, he also lost his spiritual hold; he let himself decline and became subject to mental and physical decay” (p.95). Most of the intervention models for post-traumatic stress disorders (PTSD) emphasized the important role of meaning-based hope. For example, Herman (1992) stresses the need to integration of past trauma with future purpose. Horowitz (2001) focuses on the transformative role of meaning and future plans. Janoff-Bulman (1999) emphasizes the importance of restoration of shattered assumptions through restructuring one’s beliefs and worldviews. There are difference consequences to trauma (1) Many show immediate PTSD, (2) Some show delayed PTSD, (3) Some stay about the same, (4) Some become stronger and demonstrate post-traumatic-growth, with or without therapy. The last type of reaction is most fascinating, because it testifies to both the human capacity for resilience and the important role of meaning-based TO. Tedeschi and Calhoun (1995, 1996) suggest that there are five areas of perceived benefits or positive outcomes reported by persons who have experienced trauma (i.e., New Possibilities, Relating to Others, Personal Strength, Spiritual Change, and Appreciation of Life). Interestingly, many of the concepts provided by the authors and the Tragic Optimism elements in this research project mutually support each other. For example, appreciation of life is similar to affirmation of life, spiritual change is related to faith, and courage is key to personal strength. “Religion can provide higher-order schemas that can serve to preserve meaning in life even when events themselves seem senseless and tragic and …because religion deals in universal truth and enduring values, it can preserve meaning in the face of the violation of other illusions of permanence or invulnerability-that we can ward off disease; that our children will survive us; and that our homes, jobs, and fortunes are secure against crime or natural disaster (Tedeschi and Calhoun, 1995, p. 72-73). Furthermore, aligned with the concept of Self-Transcendence, the authors suggest that through one’s service to others, one’s healing process is facilitated, however, these services must be meaningful to the person such that, “actions can serve to make events seem more manageable, but activities may be easier to engage in when it is meaningful to the actor” (p. 72). Also, a better social relationship can result from one’s effort to contribute by helping others, “part of the positive development of social relationship among survivors comes from their increased compassion, greater sensitivity to the needs and feelings of other people, and efforts directed at improving relationships” (p. 36). As mentioned earlier, TO as measured by the LAS was positively correlated with Posttraumatic growth. Also, TO served as a mediator between prior trauma and present well-being. It appears that when one’s assumptive world has been shattered and denial is no longer feasible, the only type of optimism that empowers one to overcome and grow is a meaning-centered and faith-based optimism. With its unique integration of acceptance and affirmation, TO is able to provide suffering individuals with a resilient positive outlook toward life while remaining sensitive to the harsh reality. To further demonstrate the role of TO in post-traumatic growth, research has shown the following characteristics are associated with post-traumatic-growth? Acceptance – Accept suffering is inevitable part of life. Accept suffering as our teacher rather than our enemy – in so doing, they have acquired wisdoms about living and dying. Also accept their vulnerability and mortality. Life could be snatched away from us anytime. Affirmation – greater appreciation of life and its meaning. Appreciate life and all its possibilities. Affirm and discover the positive meaning in a difficult situation. Courage – The are prepared to pick up the piece and re-establish themselves. They are ready to move forward with an increased sense of agency. “If I can survive this ordeal, I can’t survive anything.” They prepared to confront future sufferings. Faith – Taping into our spiritual resources to do the impossible. Restore faith in ultimate justice and ultimate meaning. Reaffirm their faith in a Supreme Being who can help them, when everything else has failed. Self-transcendence – New orientation. New challenge. Their pain and suffering have given rise to compassion for those who suffer. They are prepared to rise about self-interests and immediate situations. A greater sense of communion. I have shown that a mature positive psychology cannot be exclusively based on positive experiences and positive affects. It must be dialectic, paradoxical and integrative of both negative and positive experiences: Courage is not the absence of fear, but the capacity to carry on in spite of it; faith is not the absence of doubt, but the capacity to believe in spite of it, and optimism is not the absence of pessimism, but the capacity to transcend and transform it. Mature positive psychology, like Frankl’s logotherapy, needs to be born of adversity and baptized by fire in order to speak to the suffering masses. The worst of times often brings out the best in us. Nothing makes hope grow stronger than setbacks and adversities, just as nothing makes the stars shine brighter than darkness. The pinnacle of human achievement, whether the conquest of Mt. Everest or the music of Beethoven, is often reached through the sacrifice of sweat and tears. A positive psychology capable of addressing the challenges and potentials of the human existence needs to consider the needs of the under-privileged, suffering and dying, the paradoxical nature of an authentic, fulfilling life that involves suffering, and the dialectic nature of positive experiences, positive traits and positive institutions. We own these profound psychological insights to Viktor Frankl -- he has taught us how to soar from the abyss of misery to majestic heights on wings of hope and prayer. Adler, A. (1964). Social interest: A challenge to mankind. New York: Capricorn Books. thousands of men and women have recovered from alcoholism (3rd ed.). New York: Alcoholics Anonymous World Services. Bailey, J. V. (1990). The serenity principle. New York: Harper & Row. Bortolotti, Dan (2004). Hope in Hell. Inside the World of Doctors Without Borders. Buffalo, New York: Firefly Books Ltd.
Camus, A. (1954). The rebel. New York: Knopf. Capps, D. (1995). Agents of hope: A pastoral psychology. Minneapolis, MN: Fortress. Western and Eastern construals of the self. In E. C. Chang (Ed.) (2001) Optimism & pessimism: Implications for theory, research and practice. (pp. 240-257). Washington, DC: American Psychological Association. practice. Washington, DC: American Psychological Association. Abraham H. Maslow’s unfinished theory. Journal of Transpersonal Psychology, 27, 1-23.
spirituality into treatment. Washington, DC: American Psychological Association. and other observations, opinions, and animadversions from Stanley Crouch. Books & Culture, May/June, www.christianitytoday.com/bc/8b3/8b3014.html, p.3. Dossey, L. (1993). Healing words: The power of prayer and the practice of medicine. Freud, S. (1928). The future of an illusion. London: Hogarth. Forker, A., O'Keefe, J. H., & McCallister, B.D. A randomized, controlled trial of the effects of remote, intercessory prayer on outcomes in patients admitted to the coronary care unit. Arch Intern Med. 1999 Oct 25;159(19):2273-8.
interventions. (4th Ed.). Northvale, NJ: Jason Aronson. events: Coping processes and outcomes. In C.R. Snyder (Ed. ), Coping: The psychology of what works. NY: Oxford University. and Spiritual Coping. Chang, E.C., Tugade, M.M., & Asakawa, K. (in press). Stress and coping among Asian Americans: Lazarus and Folkman’s model and beyond. To appear in P.T.P. Wong & L.C.J. Wong (Eds. ), Handbook of Multicultural Perspectives on Stress and Coping. edited by Jeffrey Hopkins. New York: Pocket Books. Lazarus, R. S. (1999). Hope: An emotion and a vital coping resource against despair. Optimism. Presented at the APA Convention in Toronto in August. May, R. (1984). The courage to create. New York: Bantam. Mok, E. (2001). Empowerment of cancer patients: From a Chinese perspective. psychotherapy. Washington, DC: American Psychological Association. diversity. Washington, DC: American Psychological Association. revisited. Journal of Personality and Social Psychology, 69, 719-727. (Ed.) Integrating spirituality into treatment. (pp.199-216). Washington, DC: American Psychological Association. Satre, J. P. (1956). Being and nothingness: A phenomenological study of ontology. (H.
Barnes, Trans.) New York: Philosphical Library. (Original work published 1943). implications of generalized outcome expectancies. Health Psychology, 4, 219-247.
physical well-being: Theoretical overview and empirical update. Cognitive Therapy and Research, 16, 201-228. Seligman, M. E. P. (1995). The optimistic child. Boston: Houston Mifflin. introduction. American Psychologist, 55(1), 5-14.
hope: Theory, measures, and applications (pp.3-21). San Diego, CA: Academic Press. ways: Development and validation of an individual differences measure of hope. Journal of Personality and Social Psychology, 60, 570-585. Higgins, R. L. (1996). Development and validation of the State Hope Scale. Journal of Personality and Social Psychology, 2, 321-335. Taylor, S. E. , & Armor, D. A. (1996). Positive illusions and coping with adversity. Journal of Personality, 64, 873-898.
measuring the positive legacy of trauma. Journal of Traumatic Stress, 9, 455-471.
aftermath of suffering. Thousand Oaks, CA: Sage. Tillich, P. (1958). The dynamics of faith. New York: Harper Collins. Vaughan, F. (1980). Transpersonal psychology: Context, content, and process. In R.
Walsh & E Vaughan (Eds. ), Beyond ego: Transpersonal dimensions in psychology (182-189). Los Angeles: Tarcher. Personality and Social Psychology, 39, 806-820. Conclusions from a community-wide sample. Journal of Behavioral Medicine, 10, 481-500. Wong, P. T. P. (1995). Coping with frustrative stress: A behavioral and cognitive analysis. In R. Wong (Ed. ), Biological perspective on motivated and cognitive activities. New York: Ablex Publishing. The human quest for meaning: A handbook of psychological research and clinical application. (pp. 395-435). Mahwah, NJ: Lawrence Erlbaum Associates. existential model. Paper presented at the Positive Psychology Summit, Washington, DC, October 2001. 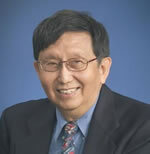 Wong, P. T. P. (2001a). Tragic optimism, realistic pessimism, and mature happiness. Positive Psychology Summit, Washington DC, October 6-8, 2001. Institute and The George Washington Institute for Spirituality and Health. The APA Convention in Toronto in August. Wong, P. T. P., & Reker, G. T. (1985). Optimism and well-being across the life-span. Paper presented in the Canadian Association on Gerontology, Hamilton, Ontario. successful aging? Psychology and Aging, 6, 272-279. Wong, P. T. P. (2007). Viktor Frankl: Prophet of hope for the 21st century. A. Batthyany & J. Levinson (Eds. ), Anthology of Viktor Frankl’s Logotherapy. Phoenix, AZ: Zeig, Tucker & Theisen Inc.
© 2007 Paul T. P. Wong, Ph.D.